Today saw the publication of a report from a task force set up by the NHS to look at mental health care in England. This is another important step towards the Government’s commitment to reach “parity of esteem” between mental and physical health services by 2020. And it is a good time to look at how the Civil Service as an employer can support these efforts. First, mental health issues are incredibly common. The oft-quoted statistic is that one in four of us will have a mental health problem during our working lives. Some studies suggest that such problems are even more common than this. Whichever of these is accurate, no-one I know well has been untouched by the consequences of poor mental health, and I would be amazed if that wasn't the case for everyone. If it is not ourselves, it will be friends or family or colleagues. I can think of no other serious health problem that is so ubiquitous. The misery of someone with a mental health issue can have a profound and painful ripple effect across their relationships and the lives of those close to them. No surprise that, in a department of 1,600, 85 signed up to the group's mailing list within the first week. Secondly, many mental health conditions are serious illnesses. All are debilitating, some potentially fatal. Suicide continues to be the leading cause of death for men between 20 and 34 in England and Wales, being 24% of all deaths in this group in 2013. It was on Blue Monday that we launched the Group, but isolating that particular day of the year, and giving it a name, rather trivialises the subject and the problem. It's not all about depression and it certainly doesn't only appear in the middle of January. So, overdue. And although we have had an Employee Assistance Provider and online tools available to support people, we know we must do more. We have recently trained a number of Mental Health First Aiders for DECC. They will be able to support people who have a crisis to get the help they need, much in the same way a first-aider assesses a cut or sprain and recommends a course of action appropriate to the injury. The Wellbeing and Mental Health Group will serve as a hub to raise awareness of the subject and help break down the stigma related to mental health. It will provide information, advice, support and guidance within the department around all areas of wellbeing and mental health. And it will provide opportunities for informal discussion, networking and the sharing of experience and knowledge among staff who are interested in this area. Ultimately, the group will act as a powerful resource for staff, not only by providing support but by embedding lasting cultural change within DECC that promotes good wellbeing and mental health practice throughout the department. In particular, what we want to do is dispel some of the still-entrenched taboos around even discussing mental health in the workplace. What has really kick-started the group has been a few terrifically well-written and powerful pieces on the departmental intranet, written by colleagues about their own struggles and how they have dealt with them. Themes have been how important the support of colleagues has been, and how vital it is to take the right amount of time to get better. But, most particularly, I have been struck by how prevention is better than cure, and we can all do better at that. Whether it is mindfulness, talking openly to colleagues and loved ones, or simply taking a walk or remembering to go home early now and again, there's a lot we can do to keep the keel more even than it might otherwise be. There's no health without mental health. Una O'Brien: What are we doing to support people in the Civil Service affected by mental health problems? This is a great example of how staff are being supported. We will, of course, share learnings about what works well to help other departments increase the support available to those affected by mental health issues. Excellent article and fantastic to see this subject being taken seriously. I recently trained as a Mental Health First Aider and highlighted Time to Talk day to my team on the 4th Feb. Is there a plan to develop this work further and drive it our across the whole of the organisation, i have seen small pockets of information but would love to see it go further. it's really interesting that you've volunteered to become a Mental Health First Aider, we'd love to hear more about what this involves and how others can get involved. Very keen to hear more about mental health first aiders and what sort of thing the training involves. Sounds like a great idea. I work in Bootle and have been trying to put forward this idea in the contact centre.Are there openings for menta health first aiders in this area do you know? Several of us in my organisation trained as Mental Health First Aiders about three years ago via a course that was offered at extremely reduced cost to the union. Despite persistent attempts on our part to discuss how to bring this into the business, through different channels of senior management, we were met with closed doors at every turn, cynicism and suspicion. As someone who has lived with depression for many years it still saddens me that we have to have initiatives like this. If someone is fighting cancer everyone rallies round, raises money and gives all the support they need. If someone is fighting depression/bi polar etc. they are treated like pariahs or told to pull yourself together. I am glad this imitative is happening but I would like to go further and provide accurate information to people about these conditions and dispel the myths like depression is about being sad. Until people understand the reality of mental health conditions they will continue to ignore the real impact it has on peoples lives and we will continue to hide our illnesses in the shadows. This is great news and I think that all managers should have training on how to deal with mental health issues with their staff and this should be mandatory. Although I have had very positive experiences with managers and colleagues having my long term mental health condition. There can still be a lack of understanding and stigma attached to the condition from my experience which can isolate the individual. As you state this can be extremely serious for the health,welfare and personal safety of the individual. I think this is sometimes where people don't get it how serious it is.Rigorous protection for vunerable individals needs to be in place. But is great to see things going in the right direction. I welcome DECC's wellbeing initiative. However, if the organisation really want to support the staff with mental health issues, the next thing they have to do is to train all managers to deal with such members of staff. Managers are the first point of contact and if they are not trained to deal with the staff with mental health issues, then there is nothing much a member of staff could do, especially when he/she is feeling low. Civil Service managers are not, never will be, and cannot be expected to be, experts in the field of mental health across a wide range of potential conditions. My condition has led to huge friction with my manager, who has tried to understand it by reading similar things to myself on the Internet, but that doesn't make them an expert (and the same goes for myself), and they shouldn't ever be left in this position. Matters have reached the point of total relationship breakdown, which has badly affected both of us. I feel bad for having dragged someone else to this point, which I would never deliberately set out to do, and they now have a completely distorted view of me as a person. The trigger for all this is PMR. Some serious questions need to be asked but I'm far from convinced they will be. Having just done a days course on Mental Health awareness, i think this should be a mandatory course for all civil servants. The day doesn't just highlight about staff you manage, its about your own self awareness. We are hoping to start up once a month, drop in centre, where we can get guest speakers in. Excellent course, Well recommended. Mental Health First Aider are a fantastic idea. Not sure why this has not been picked up before now and pushed out. Might I suggest that Office closures will create a lot more problems. I have been through two office closures. The first with VOA where we were fully supported, with a dedicated SPOC, who visited at least once a week, easily accessible at all times, the goodwill of the staff was there until the end. It still caused issues with regards to travelling, childcare and money and I was lucky? enough to be able to transfer to HMRC back in my local town, same building as previously with VOA. The second closure was with HMRC, the ‘Leamington fiasco’!!! This was a devastating experience which brought on depression AND IBS. No support was given BY HMRC, we were classed as numbers, questions weren’t answered, etc. etc. Needless to say the goodwill of the staff evaporated more or less immediately. I won’t say more as it still makes me very upset and angry TEN years later. Moving to a new office again even further away from home is not an experience most of us want. It is a major disruption not only to staff but also to our families, less time at home, more outgoings, (do not mention ‘Excess fares’ it’s taxed and for a limited time). Hours may have to be reduced to fit in with travelling times, losing more of the household income. Concerns with regards to possible emergencies at home, involving children, vulnerable relatives – how quick can I get home? (Personally, from my original office – 10 minutes, from current office 30 minutes, from new office – nearly two hours). For some people it is a MAJOR issue and this needs to be recognised and considered by HMRC. We are individuals and not numbers. I was fortunate enough to be able to do a 2 day Mental Health First Aid Training course for free a few years ago - it's normally quite expensive - and would recommend it to everyone. Our mental health and well-being is very important - employers need to recognise that staff suffering with mental health issues will not be able to work as effectively, and their condition may last longer too, if they are not supported at work. This must be throughout the Civil Service - not just the DECC. I would value being able to attend a refresher Mental Health First Aid course and it would be great to think it could be provided by my employer - or is that just a dream? A welcome piece, especially in the light of the intense changes that we're all going to go through over the next few years. As an in house career transition coach I was horribly aware that in 2011-2013, around 25% of my own clients were taking some of antidepressant. One wag described citalopram as the civil servants' recreational drug of choice. EAP and mental health tools are OK as long as line manager behaviours, attitudes and activities also offer real support the individual. Sometimes they just don't, and the individual is left to sit with them in a corner somewhere. But the initiative to train mental health first aiders is innovative and promising, provided they are themselves well trained and they are well supported/supervised. Another initiative would be to make sure that our OH providers are properly evaluated, and that service users themselves get a chance to comment on the level and quality of help that they have had during sick absence. And what aftercare they receive. I've not yet seen any of this happening. Nonetheless, and chinks of light for the many who suffer often in silence, and often through workplace stress. as above i would really like more infomation regarding a mental health first aider. i suffer from mental health problems and my anxiety can get out of control at times. having someone like this in my place of work would be of great assistance to me at times. Lorraine, as Philip Rutnam has written in response to a comment on another blog, every department should have mental health first-aiders - this was a commitment in the Talent Action Plan. Your department will also have a senior champion for disability, who should know, as should HR. Thank you for the interesting article. 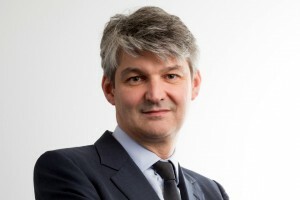 I am part of a year long programme and we had a speaker Martin Brown (DWP Director of Wales) and he has inspired to think about work in a different way. Martin talked about we strive and talk about a work life balance, but should it be that way. It should be about a life work balance. Looking at it this way turns how you view work on its head. It really inspired me to think differently and as Governement Departments we should start a conversation about a life work balance. This is an interesting article and I really hope its not just another box ticking exercise. As someone that has had a long standing condition, and has tried to continue to work this is well overdue. The treatment I have received at work has been in a word appalling. I suffered a set back, but i was still attending work, I told the managers and they were aware of my condition, but instead of helping or trying to understand I was seen as trouble. This lead to a less effective, based on attitude. I ended being giving very strong medication, therapy, and I couldn't work. I was off for 5 months, had no contact from work, unless I asked for updates, to these I wouldn't get a reply. I had a meeting about coming back to work, which went well, and I was told that I was wanted back and they wanted to get me back to work. Only to receive a letter the week before I was due back and a few weeks before Christmas telling me I had been fired. Another set back! I then had to fight to keep my job, when I could barely cope with daily life, walking back into the office to see I had, had my profile removed, and sit working all the while knowing that I was due to leave in February, anyway I won and was able to return to work, which has been a help as it gives me something to focus on. Unfortunately the attitudes only changed towards me when a colleague committed suicide at work. It shouldn't take something so drastic to change managers attitudes. Without the support of my work team and seeing them stick up for people that suffer, I wouldn't be in work. I really hope that this works and does change peoples attitudes towards mental illness. but forgive me if I am a bit negative. I am so sorry you have had such bad experiences - it really should not be happening in the 21st century! Unfortunately I'm sure you are not alone, although there wil be more positive experiences out there too. One of the things managers and line managers need is the tools to do their job, including appropriate training AND back up from (e.g.) OH teams - our LMs have jobs to do as well as manage staff so cannot take on all the responsibility of assisting their staff alone - colleagues, as has been stated, can be an invaluable help too (if they're not being a hindrance...). I sincerely hope this blog will be regularly checked and that action will be taken - Cabinet Office please note as you seem to be the central point for all things Civil Service related! Long Overdue. My teenage daughter had to wait over a year for an initial consultation and even then it was cancelled three times. In the meantime my daughters health deteriorated in year 10 affecting her school and physical health. It is not accepable. It saddens me to read of other staff's experiences with regards to mental health, as their stories very much mirror my own battle with Mental Health and DWP's inability to offer the right support. I too was almost fired due to sickness absence. I do wonder how many staff have had their condition deteriorate due to their treatment at work. I know that my condition has only been exaccerbated by the pressures of targets, minimal expected levels etc. I have been told to expect a box 3 marking for the 3rd year in a row, despite getting the last two overturned due to management not following the correct processes.We seem to be an easy target and I do feel that DWP are trying to force me to quit.I can no longer do the job I once did due to my mental health condition and have been desperately trying to get a transfer. With all the cutbacks the mental health of the workforce can only get worse. I work in a Job Centre and see the daily struggles of staff who are work coaches; being pushed to their emotional limits due to workloads. I would be interested to know if anyone has had their targets reduced due to mental health issues. Incidentally for anyone who has never tried it, I can highly recommend CBT. It can really help you stabalise. If I get another bottom marking this year, based solely on how my condition has led me to react and nothing to do with my actual work, which is described as excellent, I've already made plain that it will result in a formal complaint (not against my manager, who has been caught in the crossfire), and I will be asking that a full, transparent enquiry takes place into the effect that working conditions and PMR are having on the mental health of staff. I will be willing to contribute my own experience as an example. Some of the comments on here are horrendous and it is clear that much of the Civil Service doesn't have a clue about how to treat staff with such conditions, and it is seen as an inconvenience rather than the serious matter it actually is. If something isnt put in place there are going to be some really sad and serious repecussions ahead. Unfortuntately it will be too late for these people. I don't feel I can be open about how I feel at the moment. I was recently subjected to workplace stress which made me ill and I needed to take some sick leave. I was prescribed anti-depressants by my GP and he signed me off for 4 weeks because the medication was likely to make me feel worrse before I felt better. During that 4 weeks I was constantly hassled on the phone by my line manager, summoned to a stressful meeting at work while I was still certificated and on my return to work I was served with a formal warning for exceeding my sick leave trigger point. Is this the correct way to deal with mental health issues? I personally think it's a dispicable way to treat someone. I am so happy that Mental Health in the workplace has finally been taken serious. As a previous Union Rep I have fought so many years for compassion from management for members suffering with Mental Health issues. In most managers defence, they do not know how to deal or recognise this type of illness, I believe they all should have some form of training as Mental Health is becoming more apparant. I have witnessed so many disturbing scenes from colleagues and friends, luckily I had the training from PCS to help recognise and deal with these situations. I would like to firstly thank the colleague for taking the time to put together a passionate account of their experience, which has inspired me to try and do a little of the same. 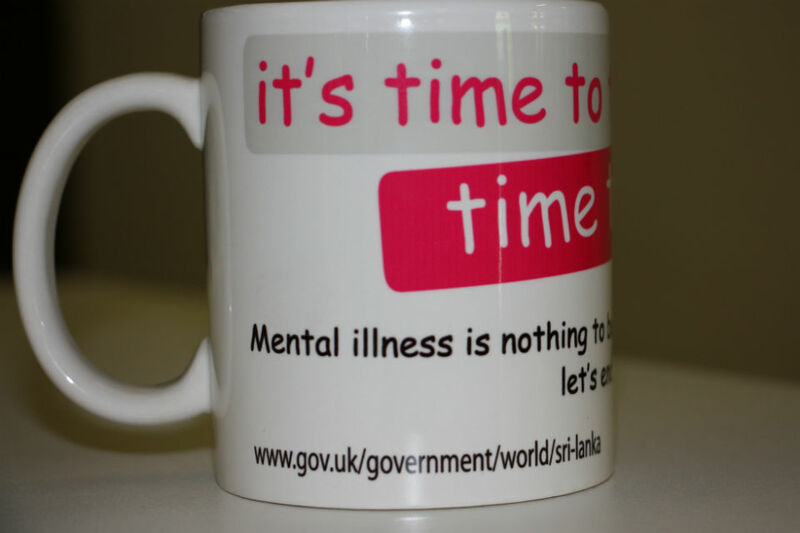 I enjoyed reading that the business supported the recent 'Time to Talk Day', where staff were asked to take five minutes to have a conversation about mental health; to help eliminate some of the stigma. However, the reality was that very few people participated in any such discussions within our Business. The blog referenced some of the Societal Impact, but, did you know that a recent study estimated economic and social costs of mental health problems in England was in excess of £105 billion (taking into account costs for health and social care, loss of output and human costs). Another government funded study suggests that sickness absence due to mental ill health results in 70 million working days missed each year, or an average of 2.8 days per year per UK employee. We recently put together a working guide that some managers used as part of Time to talk discussions - It went down really well (results from surveying). Unfortunately, the senior managers didn't support (or didn't even appear to care) that efforts were/are being made. Many staff in the workplace are more than willing to help progress this agenda and give up their own time to help others become the 'best that they can be', but without any real recognition or support from the business we will never show/implement any true intent to make tangible change or provide an environment that is conducive to helping those staff who are vulnerable and need a helping hand. Within HMRC, there are around 70 Officers across the business who are charged with combining their roles with Mental Health Advocacy (i.e. to signpost to statutory/non-statutory services). Without taking anything away from the sterling work that they do. They are not Mental Health Specialists and may not have the correct skill-set to even refer to the relevant body (leading to catastrophic results). All Staff, however, need to be encouraged to be empowered to take a role in becoming Quasi Advocates if you like, as the most crucial factor in all of this is The 'Human Element', as staff who may require assistance need to be interacted with and made to feel comfortable in the workplace; familiarity helps vis-a-vis being signposted to a MHA who would simply signpost. It requires a collective effort from ALL to truly help reduce Stigma around this agenda. Throw into the mix the stresses and strains of 'Building Our Future' and the case for ‘Empowering all’ is further strengthened. An interesting article, let's hope something can come of it across all Departments - especially educating managers in how to deal with staff suffering mental health problems. I disagree with the comment about 'BlueMonday' trivilalising mental health issues, I think its quite the opposite. How many people are aware that suicide is the number one killer of men under 35? By having 'A Day' it starts to get people talking. No-one can see (mostly) mental health problems, so its difuclult for the unafffected to understand. Broken bones, Cancer, ilness and disease are often externally visible - you can't see what's going on inside someones head! It's about time that the stigma realting to mental health issues was irradicated and people were more open to talk about it. It’s good to talk and like others I welcome the greater focus on this area. But......can I cut to the chase.....it’s the CS / MoD that are causing much of this by overloading people who are covering gaps and don’t want to let the side down. Like many of our areas with issues, the management are trying to fix the wrong problem. E.g. a huge public effort trying to recruit people, when the focus should be to retain those you have preventing the problem being worse. Our occupational health team have raised it and nothing is happening, so it appears not to be a real business priority. Our "Your Say" results should have flashing warning lights, but nothing is happening. Thus, the good will has been eroded leaving no faith in the management to deliver something tangible, except PR statements. Today is my 53rd birthday, and tomorrow will be my 3rd anniversary of receiving my diagosis for Asperger Syndrome which I received after a troublesome project raised sufficient issues for me to self refer to my GP. My GP was very understanding, unlike sadly my direct management line. I was open about my diagnsosis, hoping that it woud enable me to be directed towards work more in line with my strengths being a research computer scientist. Instead, my line manager denied me work saying I could not be allowed customer facing work, and offerred me part-time working as an accommodation if I wished which was completely uncessary and an offer I obviously could not accept. Within six months I was re-offered the same offer but with an obvious threat of take it or leave it. It was only the intervention of the union that mitigated the risk of having to leave. In the same period while I was trying to find an alternative post, my departmental manager broke medical confidentiality by disclosing my condition to another group leader who had initially refused to have me moved to his group. I have now being on ant-depressants for over a year having suffered anxiety and panic attacks due to the treatment I received. Fortunately, I have moved to a more understanding group with an excellent team leader but I still seem to face an uphill job when it comes to finding project work in my domain of expertise, nothing is ever said to my face but I hear remarks made by back channels. This is all in a part of the Civil Service that now has an explicit autism training and awareness scheme in place. But to finish on a positive note and to encourage others on the autistic spectrum, besides these work issues my diagnosis has been the best thing that ever happended to me. For a diffability known for its social difficulties I'm now out socialising more than my wife, or so she claims. I work heavily with the local county council to make life better for others on the spectrum, for whom life is much more challenging than it is for me. And for those who know something of life on the spectrum, and its tendency for literal understanding of verbal communication there have been a number of rather comedic moments both since my diagnosis and in my understandng of my personal life history before it. The department in which I work is extremely process-focussed and risk-averse beyond belief. I was offered my initial appointment in 1984 on "unestablished health" terms because of a minor mental health problem that I experienced 3 years previously. Notwithstanding that that incident is now more than 30 years in the past, I have been reliably informed that it will be a barrier to getting a Developed Vetting (DV) clearance in 2016 and beyond. This would not be a problem were it not for the fact that my own area is increasingly requiring DV clearances for posts that do not require regular access to TOP SECRET (in fact where no more than 20% of the work is SECRET and 0% of it is TOP SECRET!). Specifying unnecessary high levels of clearance, usually out of sheer risk aversion, indirectly discriminates against those who have had mental health problems even if these are a long time in the past. Don't suffer in silence, if your not lucky enough to have a undrestanding line manager like me, there is others that can help. It has took me many years to come to terms with my Mental illness mainley because i didn't understand the problem, even 20 years plus later i am still recieving counceling and on medication. I have come to terms with the fact this illness is long term for me, but i am starting to manage it better, also with the help from my line manager and BTS i feel abit more positive. Having been let down many times by the NHS mental health services, not just for myself but also members of my family following traumas associated with my son's involvement in the second Gulf War and the subsequent PTSD, I am more than glad to see Mental Health has been put high on the agenda across Government and CS. I have never been ashamed of my own MH issues, brought about by two separate and widely spaced head injuries, but it is very difficult to speak openly about these problems in the workplace, especially when the issues are multiple, complex and chronic. I welcome the idea of MH first aiders and I hope every team gets one. I also hope that MH awareness training becomes mandatory for management and team leaders. Far too many people suffer in silence and that just makes their plight worse. Thank you for your honestly written blog. In the late 1990s I was working as a director of an ancillary business, in the private sector, producing training programmes on HR and employment law issues for senior managers. I produced a range of programmes aimed specifically at the public services sector, amongst them regularly oversubscribed programmes on sickness and absence, stress at work, (disability) discrimination, bullying and harrassment. The oft quoted statistic on our programme flyers was that sickness absence was costing the public services [and by implication the taxpayer] so many millions of lost working days per annum and that this figure was much higher than in the private sector. I always felt that the inclusion of employment lawyers in the list of presenters attracted bookings more than the presence of an HR consultant (however eminent, and we had one or two of the top UK specialists as presenters). I came to understand what ‘acquired disability’ meant, and its profound importance. And then I lost my job, under distressing circumstances that involved the death of the business founder followed by attempts at constructive dismissal by the new owner. With a mortgage and a family to support, and poor job prospects at 50+, I became first anxious and then depressed. My family was rescued by the Jobcentre, the New Deal 50+, and a chance of interview for work with the Civil Service. I was lucky enough to be offered a post at AA grade and, recognising that getting back into any form of dignified work (I had had one terrible short appointment in the private sector, where the owner’s treatment of his staff was highly questionable) was essential for my recovery, I happily accepted the offer. Two years later I was persuaded to sit the HEO assessment centre and, somewhat to my surprise, I passed. After a brief happy period in my first HEO post, I was subjected to some appalling management (motives unknown but I suspect perhaps because I didn’t ‘fit’ the standard CS model) and was driven off briefly with stress and anxiety. I fought back, went through the humiliation (people like me don’t do things like that) and protracted experience of submitting a grievance, and eventually at Stage 3 the facts came out, I received an apology, and measures were taken. I now do productive work where I am valued and where my efforts ‘make a difference’. But all this has left me very much changed. I lost any desire to try for further promotion, and I have been for many years an active blogger and critic of management likely to lead to stress, BHD and, ultimately, those worrying absence statistics. But I’ve nonetheless remained passionate about trying to build healthy organisations, ones where people are happy yet realistic about the limits of what the workplace can offer. •	Try and avoid practices that sow seeds of division. Amongst these I’d include bonus schemes, moderation, and absence management schemes that fail to consider the realities and the diversity of physical as well as mental health issues individuals may experience through the years of their working lives. The objective must be to build teams that give each other mutual support. And civil servants should be nurtured for their values and not just an apparent (I use the word advisedly) ability to deliver. •	Bullying often has its roots in fear, and fear has its roots in anxiety and insecurity. The workplace currently is a bit like musical chairs: the overburden of people to places is increasing, and people will spend more time making sure they are near a chair when the music stops than listening to what the music is saying. The less assertive (but maybe more valuable for that) will get sidelined in the stampede. •	Recognise, and be frank with ordinary staff, about unpleasant economic realities you can’t change. And, somehow, find a way to let the ordinary staff know that you will be leading from the front on tackling over-manning: if there are too many senior managers, or an unacceptable locational clustering, or a suggestion of elitism, then tackle it. •	Help ordinary working staff achieve a better work/life balance (or life/work as one blogger has put it) through involving them in and making them beneficiaries of smarter working initiatives. As an example, I know of one instance where two people who could easily job swap are passing each other on the motorway every day on their 60 mile commute to work. To compound it, they are not given any extension on flexible working hours so that they may avoid peak hours congestion. •	Acknowledge the effect that unrealistic target setting can have, especially where tools and processes intended to deliver on those targets are not in place and/or working properly. In the current cutbacks, it should be no surprise that delivery may be jeopardised. It is the job of senior management to speak truth back unto power about that. •	Make work something people look forward to coming in to. After all, we spend a huge proportion of our lives there. •	Build a culture where managers at least have broad shoulders, or better still welcome, those who think differently, or who appear to criticise accepted management wisdoms. There’s an old maxim in marketing that your harshest critic may, properly handled, prove invaluable to your business insight as well as becoming your most valuable advocate. I always found that to be true. •	Recognise that rather than being a handicap/disability, features about a person may have real value. And try to ‘fit’ those people to positions where they will be both happy and valuable to the organisation. For example, Aspergers/autism often comes with special talents (rather as hinted at by ‘n otlawn’ in a post earlier on in relation to being a computer research scientist). Similarly, those who’ve suffered mental ill health through the trials life has thrown at them will often have acquired a great ability to empathise. They may be good at helping other sufferers, managers, and organisations alike to understand and deal with this by now very common problem. Some of the millions of working days lost each year through staff absence in the public services may be due to malingering. But I suspect not nearly as many are lost that way as ‘civil servant bashers’ would like the public to believe. People do get ill, and people are made ill by stress in their lives, including stress in the workplace. And perhaps one reason why (part of) the private sector appears to have a better record is that it does not (need to) record absence or retain people in the same way, instead using hiring and firing and zero hours working to suit its needs. In that world people go through whatever they go through without a work income and, increasingly, without any social support and should illness drive them out of work. They enter a downward spiral of declining mental health and increasing social exclusion, laced with vilification, as I might have done had it not been for a civil service that was hiring and willing to hire me. And that is a chilling thought, in an ageing society where we say that maintaining health, wellbeing and the work ethic amongst our population is of paramount importance. P.S. My 21 year old son is now having to deal with anxiety and depression, brought on I suspect by worrying over how he can be a great son to his parents and then finding that both at university and in the jobs he's had since taking a break from it, there is an epidemic of nastiness, using people, unrealistic expectation, and lousy employment prospects. In the course of trying to help him, I've been amazed at just how many parents are dealing similar with problems with their children as they enter the adut world with its current stark realities. We ought as a society to be ashamed of ourselves. All I see is another tick box exercise from SCS , mental health has no place in the Civil Service as maximum sick days allowed in a 12 month period is 7 day's. That in no way reflects anyone who has a mental illness,hence the MAP process kicks in.